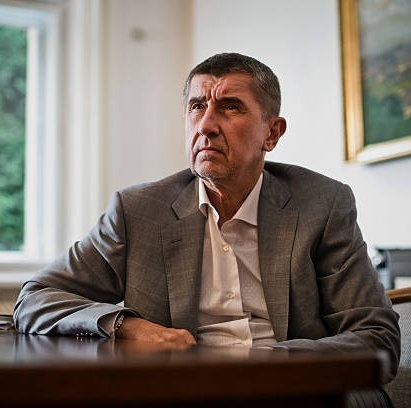 Andrej Babiš: Populist Oligarch, Threat to Democracy? Andrej Babis, who is leading government-forming talks in the Czech Republic, is an authoritarian politician embodying the style of oligarchic populism, but he will probably refrain from curtailing democracy and thereby annoying the EU, Jiri Pehe writes in daily Pravo on Thursday. In connection with the anniversary of the Czechoslovak communist coup from February 25, 1948, media pondered on whether the current political situation may result in a similar suppression of democracy once again, Pehe writes. True, certain attempts to reduce the functioning of liberal democracy, as introduced in the country in 1989, cannot be ruled out in the light of the populist and extremist parties’ success in the latest general election, but drawing parallels with February 1948 is an exaggeration, Pehe writes. Contemporary populists do not seek a general change to the system, of which the totalitarianism-promoting parties dreamed in the 20th century, often influenced by utopisms. The current populists, on their part, are trying to create a system which some theoreticians call non-liberal democracy and which is a type of authoritarianism that keeps the basic features of a democratic system, Pehe writes. One of the reasons for the populist leaders not to go too far in curtailing democracy is the international context. In the European Union, individual national economies are closely interconnected, and poorer countries draw considerable EU subsidies, Pehe writes. The political survival even of authoritarians in the countries, where elections continue to be held despite various restrictions of democracy, depends on their respective countries’ economic success, Pehe writes. The authoritarian leaders try how far they can go in their attempts to curtail the principles of liberal democracy and the rule of law, but they do not opt for dictatorship, because this would result in their countries’ isolation and economic decline, Pehe writes. In the Czech Republic, the authoritarian Babis, current caretaker PM and probable head of the nascent new cabinet, who considers classical democratic policy an obstacle to his idea of a state managed as a business, is acting cautiously rather than using his power supremacy to suppress democracy, Pehe writes. Babis does not want to face an open conflict with the EU. This is also why he would not openly cooperate with extremists on the government level, Pehe writes, alluding to the Czech Communists (KSCM) and the Freedom and Direct Democracy (SPD) movement. In oligarchic populism, as embodied by Babis, cautiousness towards the EU is appropriate also because huge EU subsidies have been flowing not only to the Czech Republic, which he heads as prime minister, but also to his own business empire (now managed by a trust fund). The companies of his business empire operate not only in the Czech Republic but also in other EU states including Germany, France and the Netherlands, Pehe writes. As a result, Babis has to confront his possible inclinations to curtail democracy in order to make his governance easier with the EU’s expected reaction to such steps, Pehe writes. Babis is very well aware of the European limits, which is evident not only from his clear rejection of the idea of a referendum deciding on Czexit, but also his steps accommodating to the EU such as the government’s approval of the fiscal pact, Pehe writes. Babis has also taken a cautious approach to possible changes to the Czech civil service law, Pehe says. No new February 1948 coup is in the offing. Now and then, attempts emerge to modify democracy in favour of authoritarianism, but there are no attempts to topple the whole system and replace it with a different one, since this would lead to the Czech Republic’s economic decline in the current interconnected world, Pehe writes in conclusion.